With a planned gift, you can create a lasting legacy and help to ensure that we are able to continue to provide excellent healthcare for generations to come. Planned gifts offer you a strategic way to support the hospital while providing you and your family with tax and other benefits. We look forward to helping you find the charitable gift plan that best fits your needs. Donors who make a planned gift are invited to join the Elias C. Benedict Society. For more information, please contact Noël Appel, Vice President and Chief Development Officer at noel.appel@greenwichhospital.org or by phone at 203-863-3861. Greenwich is a wonderful town where I lived with my family for 43 years. Without hesitation, I can say that Greenwich Hospital is one of the greatest resources we had. My children were all born at the hospital, and it was a constant reassurance for us to have a world class medical facility right in our backyard. Today, I am proud to be a member of the Elias C. Benedict Society, the hospital’s planned giving society. I chose to make a planned gift to Greenwich Hospital not only because of its importance to the community, but also because my family always had the finest health care, and I owe my life to the four doctors who treated me there over 20 years ago: my general practitioner, gastroenterologist, surgeon and oncologist. Following my colon cancer surgery, I engaged Dr. Dickerman Hollister, Director of Medical Oncology, Greenwich Hospital, to commence chemotherapy. 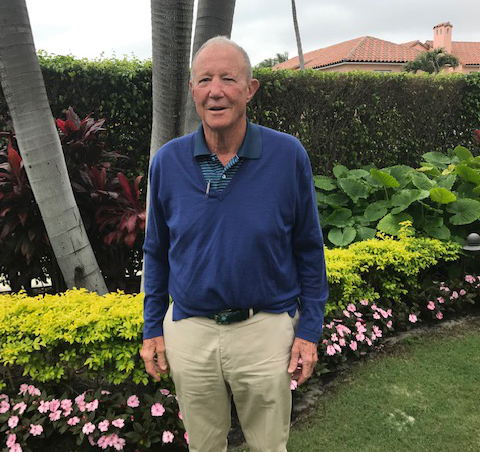 At the suggestion of Dr. Hollister, I pursued a second opinion by contacting the Executive Director of the John A. Hartford Foundation based in New York City, where I was a Trustee. The Executive Director reported back to me that among the five hospitals queried one name came up twice. I asked Dr. Hollister if he recognized the doctor and he informed me that he had personally trained that physician. So why leave Dr. Hollister! This whirlwind of a health experience could have ended differently were it not for Greenwich Hospital and my team of talented physicians. One year later, I was given a clean bill of health. I continue to be grateful for the skill and expertise of Drs. Marc Newberg, Nelson Bonheim, Philip McWhorter and Dickerman Hollister. Twenty years later, I can definitively say that Greenwich Hospital saved my life. As a devoted supporter of Greenwich Hospital through the years, I wanted to extend my commitment to help ensure its future. It is in the spirit of sustaining a great organization and my gratitude for what the team in Greenwich gave to me that I am a member of the Elias C. Benedict Society. I hope my story inspires others to consider making a planned gift to Greenwich Hospital. My gift will support the hospital’s endowment, the most important funding an institution can receive. Endowments grow and build in perpetuity, and as such are foundational to a fundraising program. Greenwich Hospital extended my life through the exceptional care I received, and it is my hope that my bequest will continue to sustain its vitality for years to come. Should you wish to consider creating a will and designating Greenwich Hospital, please visit this online resource provided by FreeWill.com, a for-profit organization that is not affiliated with YNHHS or its affiliates. YNHHS makes no endorsement of its services. Elias C. Benedict, a Wall Street investor and yachtsman, often called “The Commodore,” provided the land and donated $250,000 for a new Greenwich Hospital that opened in 1917. The Benedict Portal, the hospital’s main entrance for more than three decades, is an architectural masterpiece by Thomas Hastings. 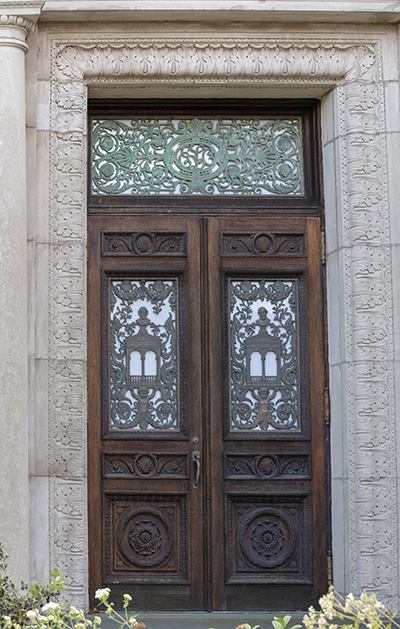 Although the building was razed in 1996 to make way for the Helmsley Medical Building, the Italian Renaissance doors were preserved and restored. In 2012, the doors returned to the Greenwich Hospital campus, located off William Street, behind the Cohen Pavilion.